The Western Table Tennis Club is open to all interested in table tennis - newcomers, beginners, and advanced players. We offer weekly practices which are great opportunities for members to mingle, have fun, and improve their skills. 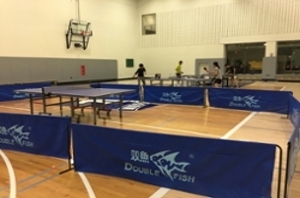 Furthermore, our tournaments each semester offer great opportunities to compete with people at your skill level, win great prizes, and play with members from regional table tennis clubs across Southwestern Ontario. 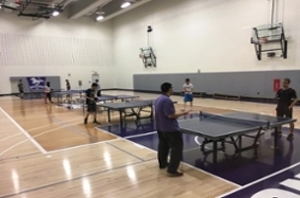 For advance players, try out for the Varsity Team, and participate in annual (NCTTA- National Collegiate Table Tennis Association) competitions. Hi everyone, I am Gary, the President of the Western Table Tennis Club for the 2018-2018 school year. I am currently in my third year studying Kinesiology. I have been a member of this club since first year, and I was also the first-aid supervisor last year. I have loved being a part of the club because it is undoubtedly a great place to socialize with people, while learning the sport and having fun at the same time. I would say our club is like a family; we not only play table tennis together, but we share our daily lives with each other. I am also a martial arts lover outside of table tennis. Lastly, fun fac to all: coming to our table tennis practice twice a week (120 minutes) already meets 80% of the general Canadian Exercise Guideline - which can greatly benefit your physical and mental health! We have club tournament every year and we give out prizes for the champion as well as the runner-up. This is the event everyone is excited about and it usually held near the end of second semester to conclude the year. Last year, we held a social event in one of our member's house and we played board games while enjoying lots of snacks. It was definitely a great time. We order different apparel for each year e.g. t-shirts and shorts, and possibly hats and socks in the future! We have a coach from the Varsity team who is at our practice every week to refine your techniques. Practices for the Winter 2019 term resume on Monday Jan 7, and conclude on Sunday March 31, 2019.